January 9, 2015 January 9, 2015 by Καλοδήμος Δ.
Ο παρακάτω πληροφορίες αφορούν την αποκεντρωμένη διαδικασία επιλογής για την πρόσληψη στο ακαδημαϊκό έτος 2015-2016. 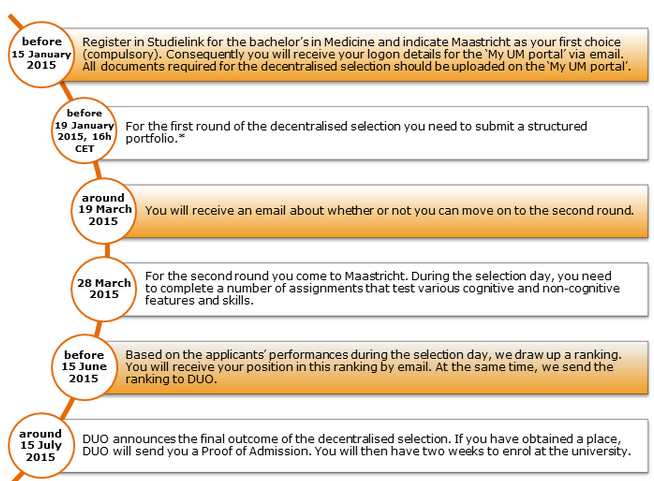 The portfolio is your official application for a study place in the bachelor’s programme in Medicine. It contains a structured CV and a set of questions by means of which you motivate your choice for the bachelor’s programme in Medicine at the UM. The portfolio is based on the form ‘Portfolio International Track in Medicine 2015’. This form is provided as a Word-document. As soon as you have completed the form and added (scans of) the necessary supporting documents, you need to convert the entire document to a PDF-file. Before filling out the portfolio, make sure that you carefully read the ‘Instructions for the portfolio 2015’. 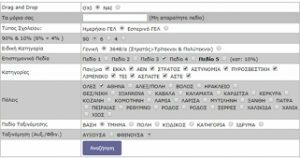 Το αυτογκόλ της Ένωσης Πληροφορικών Ελλάδας για το Νέο Λύκειο.